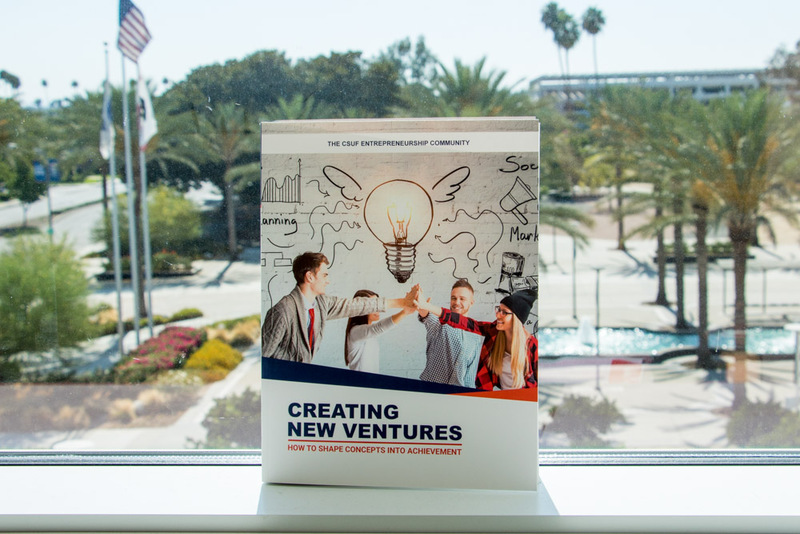 Mihaylo College’s Center for Entrepreneurship has published Creating New Ventures: How to Shape Concepts Into Achievement, a book highlighting the business startup advice from 156 entrepreneurs, advisors and mentors from the college’s network. Providing tips on how to guide a new venture from idea generation to launch and operations management, the compilation includes profiles from leading CSUF business alumni, including Steven G. Mihaylo ’69, CEO of telecommunications firm Crexendo Inc., and Jeff Van Harte ’80, chief investment officer of investment management firm Jackson Square Partners. It also features Southern California business leaders across all industries, many of them CSUF students, alumni, faculty and staff. A joint effort spearheaded by Center for Entrepreneurship Director John Bradley Jackson and center founder Michael Ames, the book will be presented to all entrepreneurship students. It is also available for $50 to students of other degree programs, alumni, faculty and staff, and the broader Orange County business and startup community. To order, contact Jackson at jjackson@fullerton.edu. Jackson discusses the book and how it can benefit aspiring entrepreneurs in an article in The Orange County Register.